More than a word, judicialization is an accurate detector of perpetuals. Understand perpetual as one who wants a political conflict to continue indefinitely. More than a word, judicialization is an accurate detector of perpetuals. Understand perpetual as one who wants a political conflict to continue indefinitely. While there is conflict, solutions will be required and the perpetual one, who lives by offering them, takes care that the demand is never satisfied. It has a fine commercial nose. That the process becomes the process will be a milestone for Spanish democracy. Thanks to the blessed judicial process, the principle of reality will be interrupted for so long in Catalonia. The procés spoke of ungraspable issues: emotional distances, non-existent rights, romantic abstractions, never of the truth of the facts, which will be the only subject of discussion from now on. The desired dialogue will therefore come, because the conditions will be met in the room where the trial is held . Unless the defendants have given up defending themselves, the conversation will start from two essential assumptions: Spain is a democracy and its law must be respected. All this seems like a truism and it is not. If any debate in Catalonia became a melancholic exercise it was because the independence movement contested both assumptions. The independentista Catalonia and the constitutional Catalonia stopped inhabiting the same world when the first one took off and began an astral journey through fantasy universes. Gone are the codes and their servitudes and the meeting with their servers became impossible. The only way to redirect the conversation is to isolate it in an environment where certain environmental conditions occur and that is what will happen when the trial begins. That nobody will speak, unless he renounces his defense, of an affective distance and the distance will again be for him a magnitude expressed in units of length. 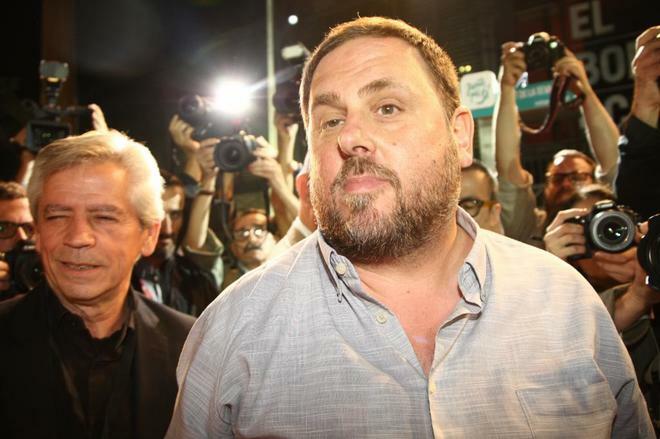 In other words, Junqueras will stop saying who he is and will begin to talk about what he has done. He will no longer present himself as a mystic but as a vice president with executive responsibilities and whose criteria always prevailed. What will make the irruption of the reality principle even more interesting will be the violent contrast. Outside the room, the proces will represent his epilogue with a last bath of pleasure. The media announces the deployment of independence organizations . They will work in the absence of accustomed gravity. In the aberrant logic where the perpetual want them, because they know that it is the one that makes the encounter impossible.